What (or who) makes a ‘bad’ dog? Forbes recently published a two-part interview with Dr. Ian Dunbar on the importance of puppy raising and early socialization and training. 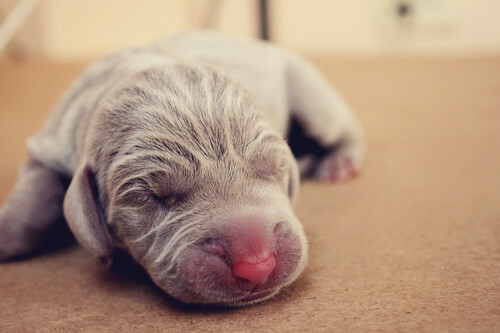 Part one, which talks about how to pick the right puppy or right breeder, is here. In part one of the interview, Dunbar stresses the importance of early training (that is, training that starts at the breeder’s, before the puppy comes home with you). This is probably the number one thing I wish breeders would pay attention to, and do. So much time goes into planning the litter, doing health checks and tests, feeding the dam and puppies correctly, and yet most breeders ignore this crucial aspect of puppy development. Dunbar argues this status quo will change only when the public begins demanding puppies from breeders who are house trained, chew toy trained, and started on basic, positive obedience behaviors and socialization. If this happens, it may also push breeders to produce dogs who are temperamentally sound; after all, it’s a lot more work to socialize a puppy who instinctively has no use for people than one who does. One of the problems I see in my work with family pets is breeders who do not give a second thought to temperament before producing a litter — and the worst offenders aren’t always the puppy mills and backyard breeders. Just as often, a “responsible” purebred breeder will make excuses for their dogs’ aggressive behavior, in some cases claiming it as part of the breed standard!